PLEASE READ THE FOLLOWING TERMS & CONDITIONS CAREFULLY. THIS IS YOUR LIABILITY WAIVER. • By signing up to become a MTRNL Member I hereby release Blair Fillingham from responsibility for any injuries I may sustain as a result of participation in the programs presented by her. I agree to assume full responsibility for any risks, injuries, or damages, known or unknown, which I might incur as a result of participating in the programs taught by Blair Fillingham. • As determined by my healthcare provider and myself, I certify that the level of my physical condition will allow me to safely participate in programs taught by Blair Fillingham. • Not all exercise is suitable for everyone and this or any exercise program could result in injury. To reduce the risk of injury, never force or strain. • If you feel pain, discomfort or dizziness, do not continue until you have checked in with the Teacher and/or your healthcare provider. • The instruction herein is not a substitute for medical attention, examination or diagnosis or treatment. • If more than two classes are cancelled in a monthly billing period (ie no sub teacher leads the class in Blair's absence) then a refund will be calculated based on a prorated amount based on how many classes were cancelled that month. • Class times may change temporarily, with at least one week notice. In which case, the new times may not be as convenient for you; but you will still have access to the replay and library of all recordings. • The studio will be closed on public/national holidays, which means classes will be canceled that day. We will attempt to offer a make-up class that week for anyone who cannot make it to other classes on the schedule. • Any permanent changes to the schedule will be done at the end of the month, to allow you time to cancel your membership if new live schedule does not work for you. • Members can put their membership on hold temporarily for up to 3 months. Memberships can be canceled at any time. • “Satisfaction Guaranteed or your Money Back” means that you will receive a refund for the current monthly billing cycle. You will not receive a refund for previous months. If you request a refund after purchasing a six month package, your refund will be determined based on a pro-rated amount depending on how many months are left in your package. Every class is tailored to your needs. This is not generic online yoga where you feel invisible. 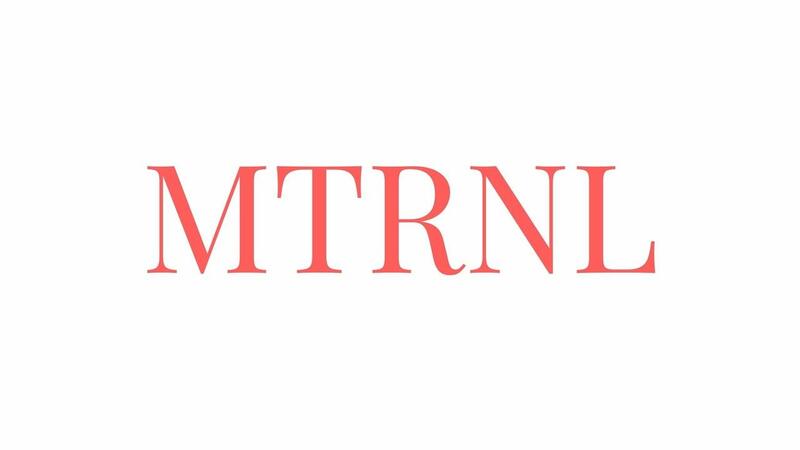 MTRNL is all about supporting YOU - ensuring you feel strong, healthy and LOVED. Find out why hundreds of mamas LOVE MTRNL back. We can't wait to share the love with YOU!